Located 50km from Milan, Malpensa’s 2 terminals have much to offer for leisure and business travellers. Milan Malpensa Airport is the largest of three airports in Milan. Located 50km northwest of Milan, Malpensa Airport has two terminals and a wide range of services and facilities available to both leisure and business travellers. Below is a list of all the services and facilities you can find at the airport. 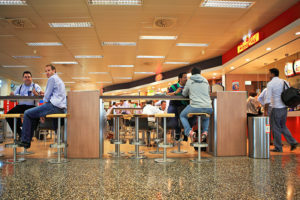 Milan Malpensa Airport offers a wide range of bars and restaurants with cuisine for every taste. You will find everything from fast food outlets, such as McDonalds to sophisticated Italian restaurants and everything in between, both landside and airside. There are lots of food places to grab a coffee and a snack, as well as more substantial options. In addition, there are lots of family-friendly places offering children’s menus. Many of the cafés and bars offer typical regional produce and include a pizzeria and a fresh pasta restaurant. There are some fabulous shops for you to browse and purchase your duty-free goods while you are waiting to board your flight at Malpensa Airport. 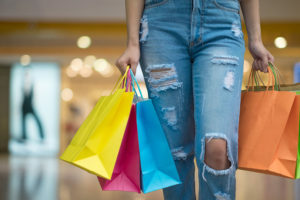 You will find everything from designer clothes to pharmacy, perfumery, jewellery and a newsagent, where you can stock up on magazines for your flight. Bulgari, Hermes, Gucci, Ferrari and Cerruti are just some of the many Italian designer fashion shops you can find at the airport. There is also a large duty-free shopping area selling the usual wide selection of wines, spirits, tobacco and electrical goods. See full details on the shops at Malpensa Airport here. 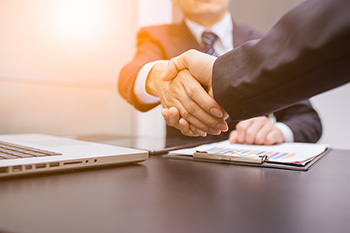 At Malpensa Airport there are VIP and dedicated business services for business travellers, including a multimedia conference room and a press room suitable for business meetings. Please check with the airline you are travelling with to determine which business facilities are open to you. The Malpensa business centre is located in Terminal 1 on the Arrivals floor. The meeting room can be booked by the hour, half day or full day. 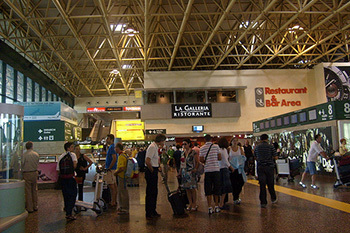 Malpensa Airport has all of the travel services you need for those last-minute arrangements. There are a number of foreign exchange counters in Arrivals, Departures and in the check-in areas landside. There are four banks on site with cash machines, as well as a post office, travel agency, pharmacy, first-aid post and a Catholic chapel. In addition, there are 3 VIP lounges for those who want to start their journey in comfort and style (fees apply). Wi-Fi is available throughout the airport for a fee. Pay with your credit card via your browser to access the Internet for a set amount of time. All car parks at Malpensa Airport have dedicated disabled parking bays, which are free to use for cars displaying the appropriate disabled badge. Sala Amica provide three areas in the Airport dedicated to passengers with disabilities, as well as a free service to assist disabled passengers through the airport from check-in to boarding. 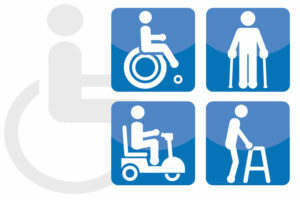 Find further information on disabled facilities at Malpensa Airport here. Please take the time to browse our site which is packed with information on everything you need to know to plan ahead for your journey via Malpensa Airport. Malpensa Airport is a family-friendly airport offering play space with interactive games in the boarding areas. For mothers with young babies, a “Baby Pit Stop” can be found in the Sala Amica area of the airport and offers dedicated feeding and changing rooms. In addition, restrooms around the airport are equipped with changing facilities.